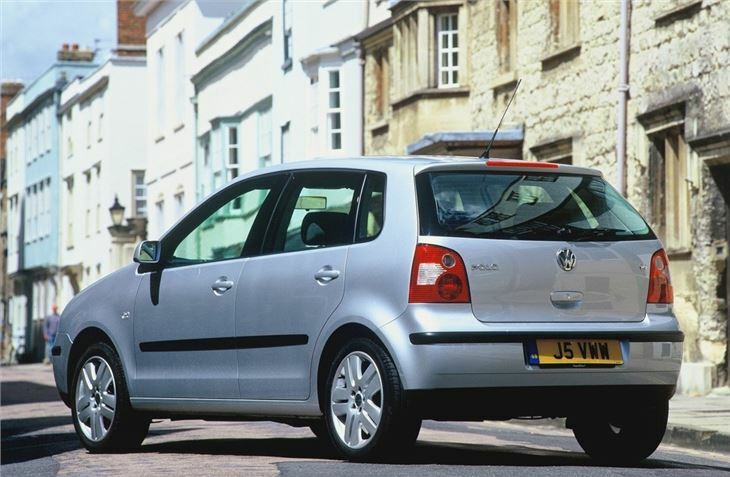 Cute-looking supermini with a classy cabin, rewarding handling and a pliant ride. Patchy build quality and not as reliable as you might expect. A Jazz gives you more versatility. 1.2 and 1.4 engine failures quite common. I wondered why the VW PR team were so quietly confident. The Honda Jazz has revolutionised what buyers can expect from a small car. The Peugeot 206 has the chic chick market sewn up. Ford is putting all its weight behind the new Fiesta. The handy Citroen C3 is on the way. Then there's the cheaper Skoda Fabia on the same A04 floorpan as the new Polo, the forthcoming SEAT Ibiza also on the same A04 floorpan, the super-economical facelifted Renault Clio, the previously class-leading Toyota Yaris, not to mention the new Nissan Micra, which VW conveniently didn't. So why were they expecting us to fall in love with their new Polo? They dropped a hint in the presentation the night before the test-drive by calling it ''The tough new Polo''. Not ''The pretty new Polo''. Not ''The cute new Polo''. Not ''The classy new Polo''. Instead they emphasised its laser-welded rigidity, tight shut-lines, electro-galvanised bodyshell and its considerable weight of between 1,173 and 1,280kg, pretty much the same as a Mk IV Golf. It sits on five-stud wheels, like a Mercedes, not four studs like everything else in its class. They mentioned that, while the previous Polo had been compared in size to the Mk I Golf, the new Polo is only three inches shorter than the Mk II. They talked 'damageability' and 'repairability', which mean very low insurance groups of One to Six. They talked about the efficiency of their new 1,198cc three-cylinder engine, which squeezes 47.1 miles out of a gallon on the EU combined cycle. 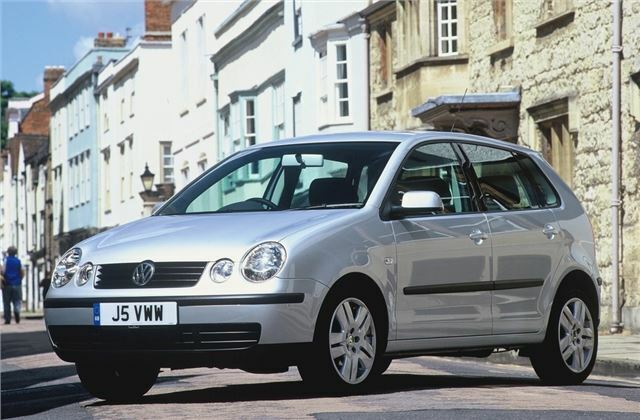 They told us that though only 7.5% of old Polos were diesels they expect 14% of the new cars to be. They reckon 80% will be sold on finance and specced-up from the long options list, because something like a CD autochanger at £395 only works out at an extra quid a week. That, in turn, helps keep used prices up because small cars loaded with options sell much better then stripped-out base versions. Small reliable workhorse, but a but thirsty.